The topic of herbicides can illicit mixed feelings in gardeners, with many preferring a chemical-free approach. 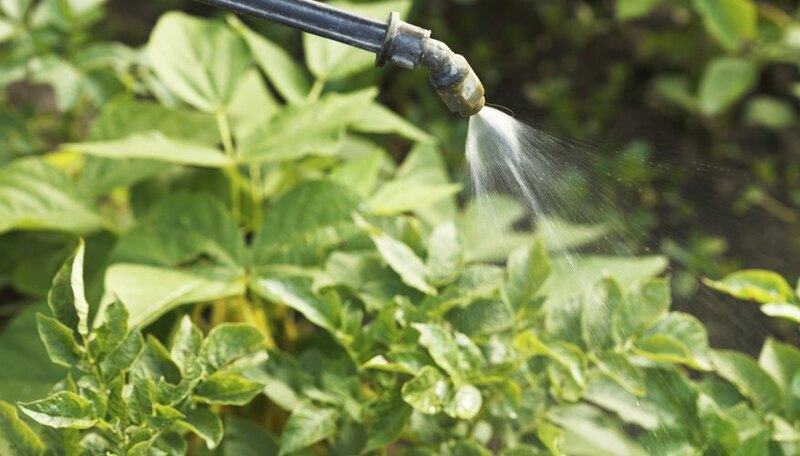 Important factors such as time restraints and stubborn weed or exotic plant infestations may force a gardener to weigh the pros and cons of using herbicides. When used properly, herbicides have plenty of benefits, but those benefits can be reaped only when label instructions are followed exactly; to do otherwise is dangerous and illegal. Pulling weeds manually can be physically tiring, and it may not be a viable option for elderly people or individuals with disabilities or health problems. Also, pulling weeds eats up time that otherwise could be spent doing more enjoyable tasks. In comparison, using herbicides takes less work and time. Perennial weeds can be more difficult to control by hand-pulling them than by using herbicide on them because failure to pull all of the roots often results in the plants growing back. Contact with common poisonous plants such as poison ivy (Toxicodendron radicans) should be minimized as much as possible, which the use of herbicide on them accomplishes. Poison ivy is hardy in U.S. Department of Agriculture plant hardiness zones 3 through 10. Herbicides vary in toxicity from mildly toxic to highly poisonous. Even organic herbicides are not without risk: Organic herbicides that contain acetic acid in a concentration higher than 5 percent can cause severe eye and skin damage; acetic acid is in vinegar. Gardeners should wear protective clothing, such as long-sleeved shirts, long pants, socks, shoes and rubber gloves, when applying herbicides, and they also may need safety glasses or goggles. Herbicides must be stored in a cool, dry location away from children and pets. Only a few organic herbicides are available to home gardeners. Precautions still must be taken with organic herbicides: At high concentrations, even seemingly benign ingredients such as salt and borax can damage soil to the point that nothing will grow. If applied carelessly or during windy conditions, non-selective herbicides that drift from a target plant can damage or kill desirable plants. That is because non-selective herbicides kill all kinds of plants. Non-selective herbicides must be applied with great care, ideally when wind speeds are fewer than 5 mph. Even though most herbicides have a low toxicity potential for fish and invertebrates when introduced to bodies of water via runoff, they can cause acute toxicity in marine animals if deliberately or accidentally dumped into bodies of water. Unused herbicides must be disposed of according to the instructions listed on their labels. No "one-size-fits-all" herbicide exists, and choosing the right herbicide requires research. Different herbicides are used to control different plants at different stages of development. Selective herbicides, for example, are effective against only certain species of plants while pre-emergent herbicides are useful only on plants that haven't emerged from the soil yet. Using the wrong herbicides ends up being time-consuming, expensive and potentially harmful. Read an herbicide's label carefully to ensure that herbicide will perform the task you expect. For additional information on herbicides, see "About Herbicides."